Very polite and friendly service. Rep. explained process and I received speed service. Got the money I needed the same day! AWESOME!!! Very nice office staff. Patient with the little ones. I was happy with their fast process. Nice option for an emergency loan. They make the process so fast and easy! Definitely will return if in need of fast cash. Employees are very welcoming which is always a plus!! The staff I spoke to were very helpful and very friendly. The whole process was really really easy and didn't mean waiting a long time and being refused at the end. Very helpful and friendly. Was helped with with in minutes. 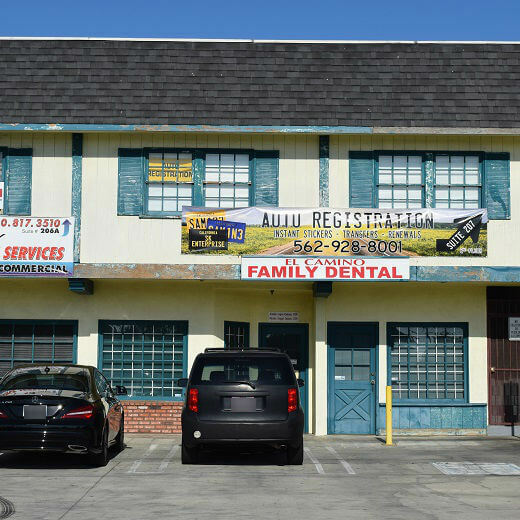 The Crenshaw Blvd Montana Capital Car Title Loans in Torrance Branch has been providing the residents of Torrance with car title loans since June 7th 2017. We rent a space in SK Enterprises. The store is located at 16300 S. Crenshaw Blvd. Suite 207 between West 164th Street and West Redondo Beach Blvd. If you live in Torrance and in need of quick cash, call us to set an appointment at the Crenshaw Blvd Montana Capital Car Title Loans in Torrance branch. We are obligated to provide all our customers with unmatched customer service. Torrance is home to many “light hi-tech” firms. But way before that the Tongva Indians called this place home. In 1784 the Spanish King Carlos III issued a land grant for Rancho San Pedro which included what we today call Torrance. The name Torrance comes from a land developer, Jared Sidney Torrance who along with some other investors hired well-known architect, Frederick Law Olmstead to plan a new designed community. In May 1921 Torrance was incorporated. Several early residential and civic buildings were designed by Irving Gill, who was well-known for his innovative combination of early Modernist and Mission Revival styles of architecture. There are many good things about living in a town like Torrance, however many people may find life less appealing when cash is short and the bills won’t go away. Very often what is needed is a quick capital injection into their finances allowing them a breathing space from the problems of debt. That is the beauty of fast cash from Montana Capital Car Title Loans. If you own a car, then you may send us the online form or simply call us for a car title loan, today. The loan process in Montana Capital Car Title Loans is partially online, so you can open your computer and answer a few questions about your car and give us some details about who you are. If you meet our credit criteria, which include the value of your car and your ability to repay the loan, we will contact you as soon as possible to proceed the auto equity loan process. If your loan is approved, Montana Capital Car Title Loans will put our name on the title as the lien holder of your vehicle. That and the fact that you can make the secured loans payment is enough security for us. You can keep your car while you pay back the amount according to the terms and conditions of the contract you sign. When the payment terms are fulfilled, we will remove our name from your car title. Call us today for that extra cash you need to help get through that stack of bills! What If My Registration Is Past Due? 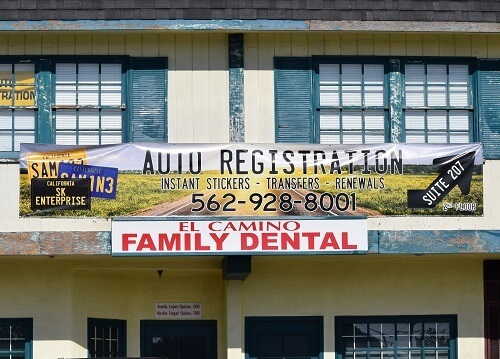 We may be able to issue an up-to-date registration for you. We will need to verify your ownership of the vehicle and then assist you with getting all registration issues sorted. Call us for more information about this. Our payments are made in monthly installments and your first payment will be due 30 days from your contract date. Don’t forget you can always repay your loan early, with no penalty fees! What If My Title Is from Nevada? We can help you get a California title quickly. In most cases, we can help you register your car in California and get the loan you need all at once! Call us to find out more! We at Montana Capital Car title loans in Torrance have a friendly staff waiting to help you get the money you need as quickly as possible. We offer pink slip loans at a minimum amount of $2,600. Our trained representatives are waiting for your call or for your online request. 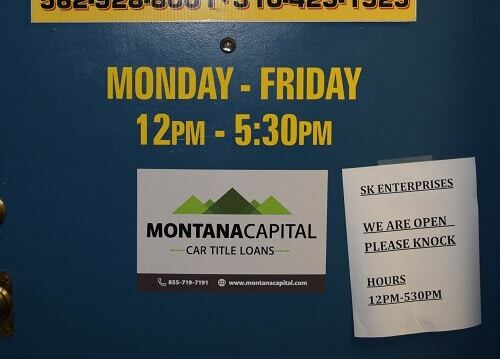 Don’t wait and apply today with Montana Capital Car Title Loans.